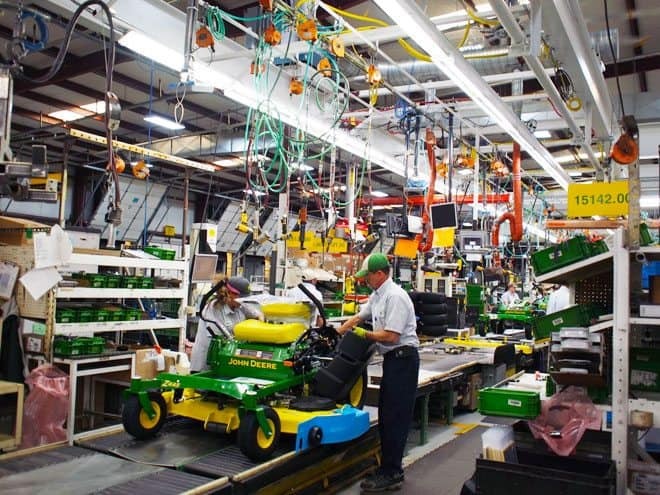 We just returned from a factory tour of the John Deere, Greeneville, Tennessee, plant. They produce the D100 series of lawn tractors and last year they moved the production of the John Deere EZTrak from their Horicon, WI plant to Greeneville. In addition to the D100 series and EZTrak they just launched the S240 Sport lawn tractor which is quite a ride! More on the visit in a follow up post, but for now enjoy these photos of the factory and testing facility.